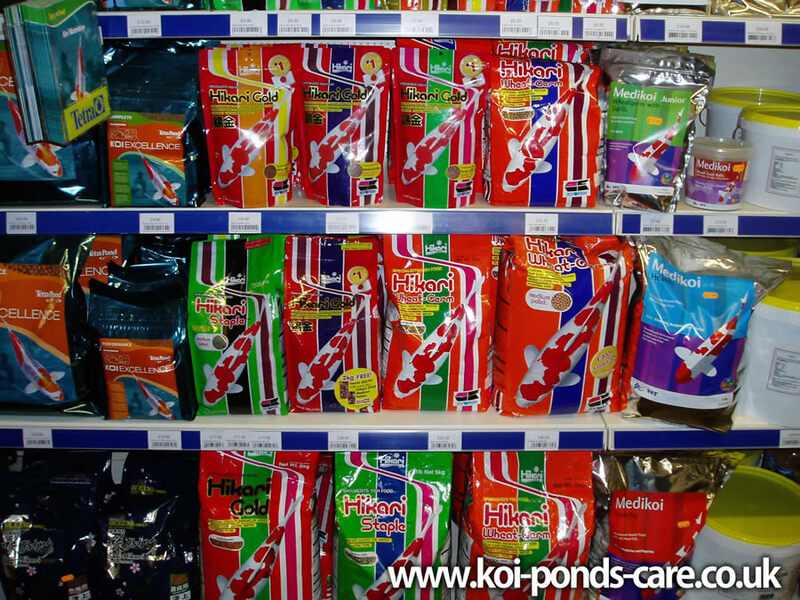 The ability of koi to digest and benefit from different ingredients in their food varies according to the water temperature. In summer, feeding a "growth" food should maximise their growth rate, as they are fully able to utilise the high protein in this type of food at higher temperatures. As the temperature falls at the end of summer it is best to switch to a "staple" diet. Colour enhancing foods are available to improve the red colouration (Hi) and this is generally fed as about 25% of the diet during the summer months. Can I really feed my koi lettuce leaves? Yes, the lettuce leaves are best given as a treat and to add a little variety to the diet, large amounts of these types can cloud the water and they may not provide all the vitamins and nutrients found in a commercial koi food.